Oracle has unveiled plans to peg back IBM and Microsoft in the emerging blockchain market, through the launch of an enterprise-grade Blockchain Cloud Service. Forming part of Oracle Cloud, the service is designed to deliver a blockchain platform capable of providing added layers of resiliency, scalability and security for customers. Outlined at Oracle OpenWorld in San Francisco, the offering is fully managed by Oracle - which recently joined Hyperledger, an open source collaborative effort created to advance cross-industry blockchain technologies - and allows customers to provision and simplify operations with built-in monitoring, continuous back-up and point-in-time recovery. 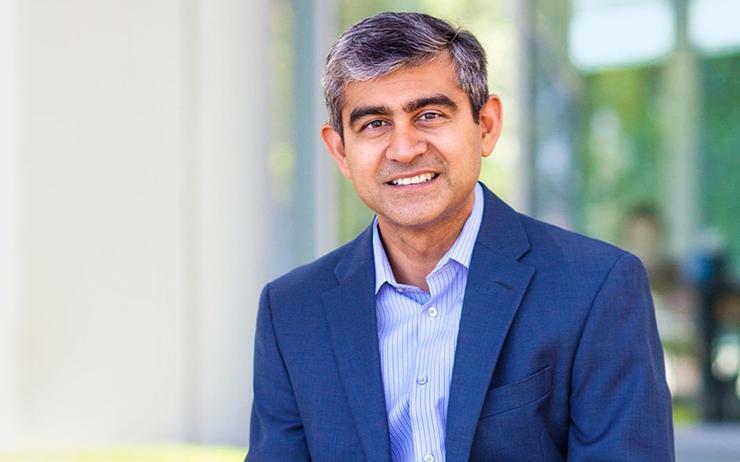 “Blockchain holds the promise to fundamentally transform how business is done, making business-to-business interactions more secure, transparent, and efficient,” Oracle Cloud Platform senior vice president Amit Zavery said. Specifically, the distributed ledger cloud platform is designed to help customers create new revenue streams, while reducing cost and risk by securely extending ERP, supply chain, and other enterprise SaaS and on-premises applications. According to Zavery, the service also provides integrated applications, sample code, templates and design patterns through an Applications Integration toolkit, designed to boost the integration of blockchain applications to Oracle SaaS and on premises applications suites. Furthermore, the platform offers real-time information sharing across existing Oracle ERP Cloud, Oracle SCM Cloud, Netsuite SuiteCloud Platform or custom blockchain application integrations, with the service now open to the vendor’s ecosystem of partners. “Accenture is proud to be one of the early leaders in blockchain and assisting clients with the use of it for new and innovative solutions,” added David Treat, managing director of Accenture’s global blockchain practice. “Oracle’s integration capabilities and the ability to add value on top of open source technologies, like Hyperledger Fabric, make Oracle Blockchain Cloud Service a strong contender in the enterprise. In addition, the service is also available to Oracle’s wider ecosystem of customers and partners, enabled by API exposure through NetSuite’s SuiteCloud Platform and supported through the SuiteCloud Developer Network (SDN). As a result, NetSuite customers and partners who choose to leverage the service are able to integrate with and consume a wide ecosystem of solutions developed by Oracle partners specifically tailored to support businesses of any size. Delving deeper, NetSuite SDN partners are also able to create blockchain applications to meet the needs of NetSuite customers. “NetSuite is excited about Oracle Blockchain Cloud Service, and the value it could bring to our 40K+ global organisations,” NetSuite executive vice president of development Evan Goldberg added. “We look forward to integrating access through our SuiteCloud Platform, to enable customers to easily consume blockchain-enabled financial and supply chain SuiteApps and services. For Goldberg, the integration and availability of the API through the SuiteCloud platform helps boost integration, alongside faster on-boarding to blockchain services and future business networks for NetSuite’s expanding global user base. “This integration creates one of the largest business communities to benefit from innovative next generation applications enabled through Oracle’s cloud and distributed ledger technology and offered by Oracle’s vast partner ecosystem,” Goldberg added. Similar to cloud however, Oracle is arriving late in a market already dominated by global players, with IBM and Microsoft widely regarded as having the strongest credentials in the blockchain sector. Backed up by recent findings from Juniper Research, of enterprises either actively considering, or in the process of deploying blockchain technology, more than four in 10 (43 per cent) ranked IBM first - more than twice the proportion selecting second-placed Microsoft (20 per cent). According to findings, this reflected Big Blue’s high-profile research and development engagement with initiatives such as Hyperledger, alongside the vendor’s extensive list of blockchain clients across an array of key verticals and use cases, including banking, asset tracking and the music industry.